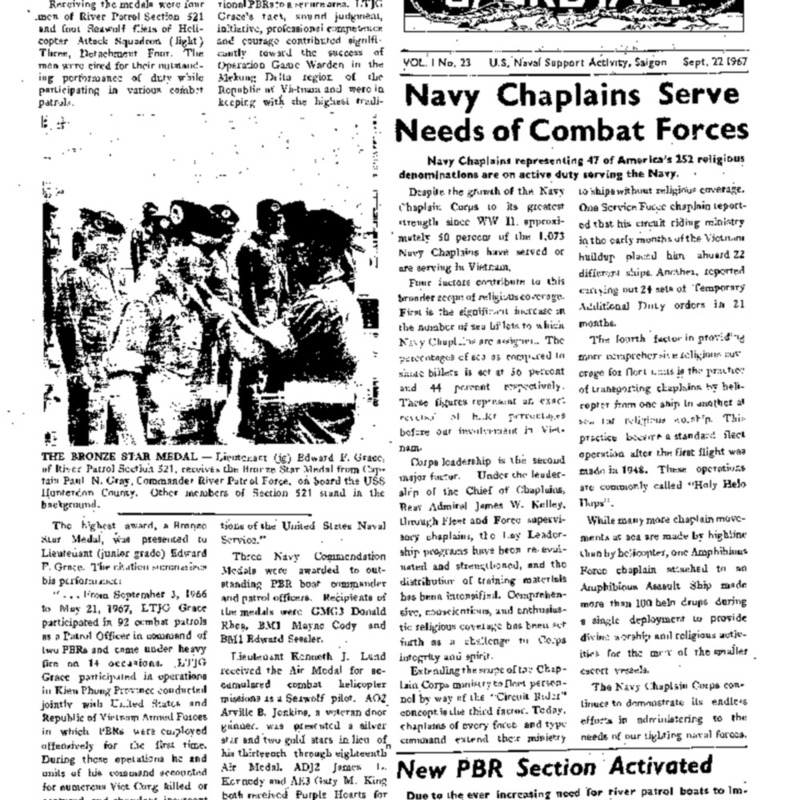 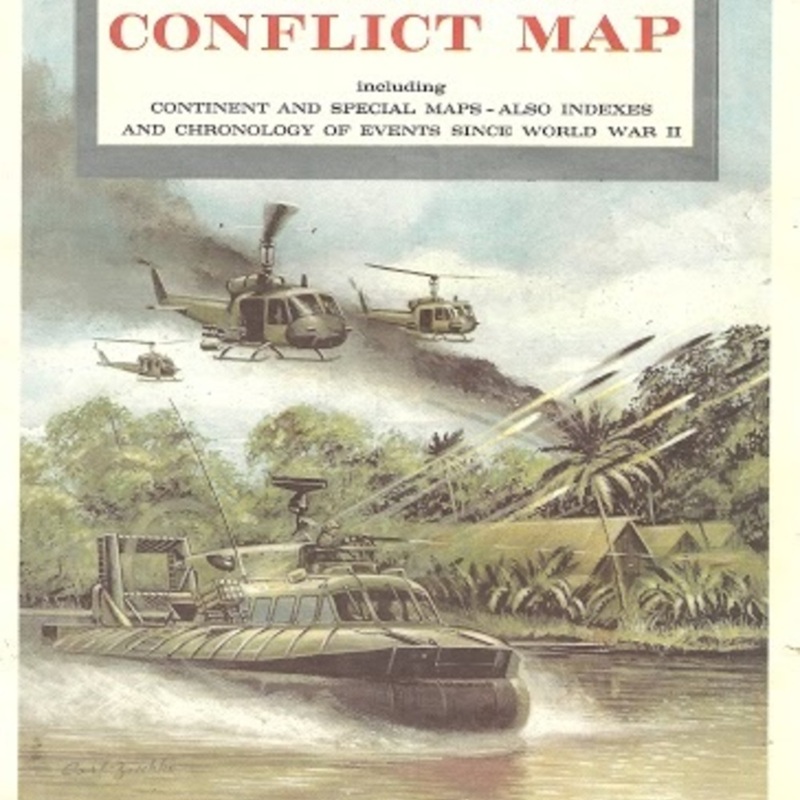 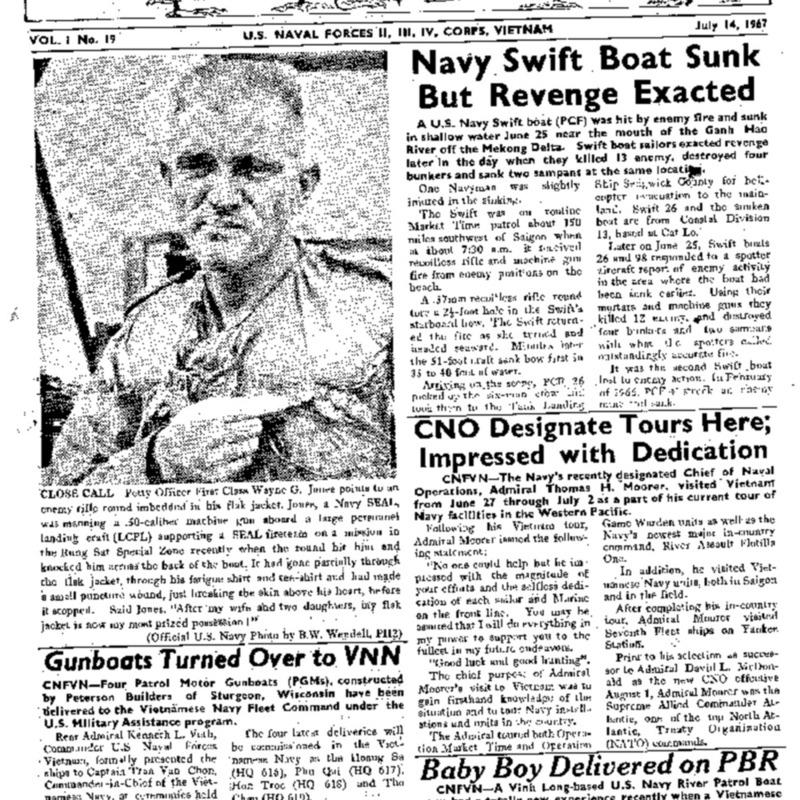 Navy Swift Boat Sunk but Revenge Exacted - "The Jackstaff News"
Wall map depicting the conflict in Vietnam. 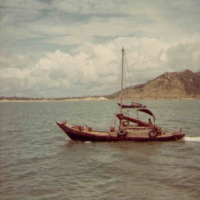 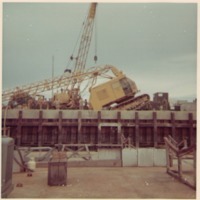 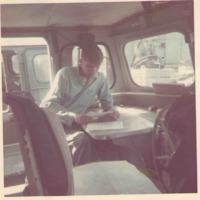 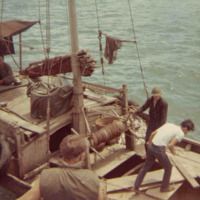 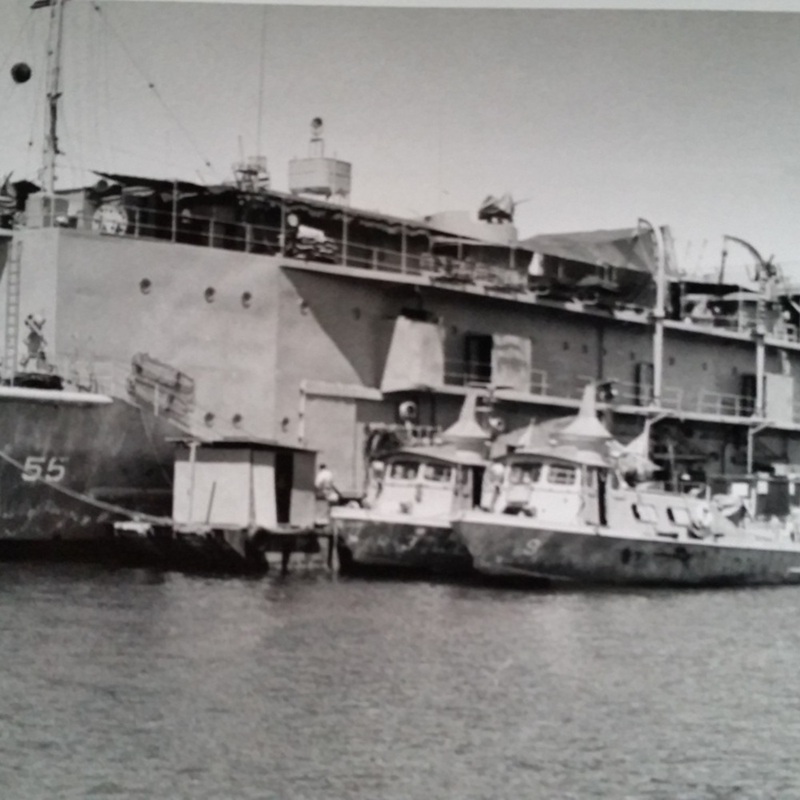 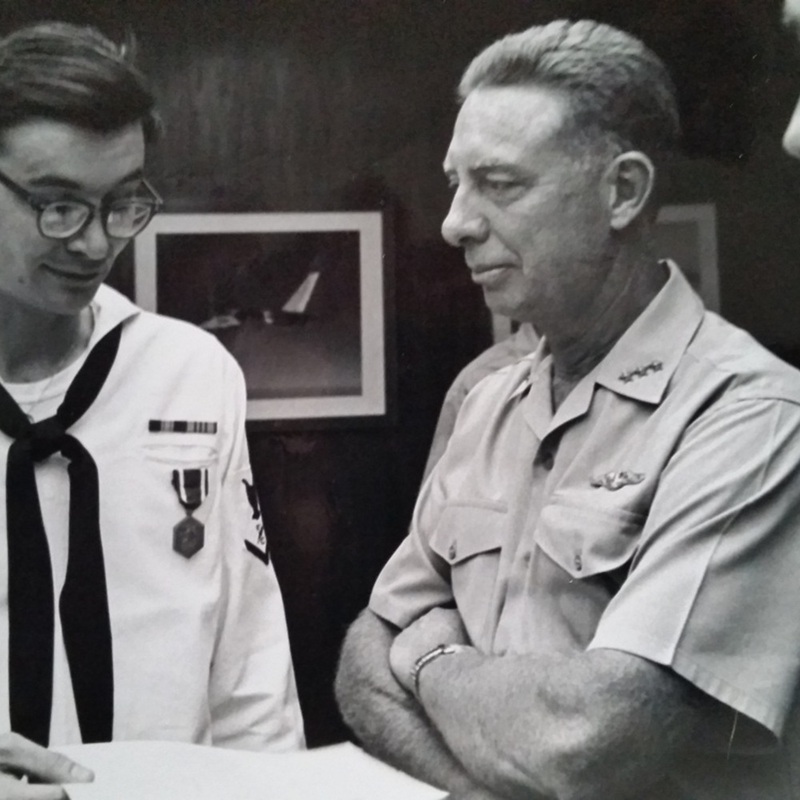 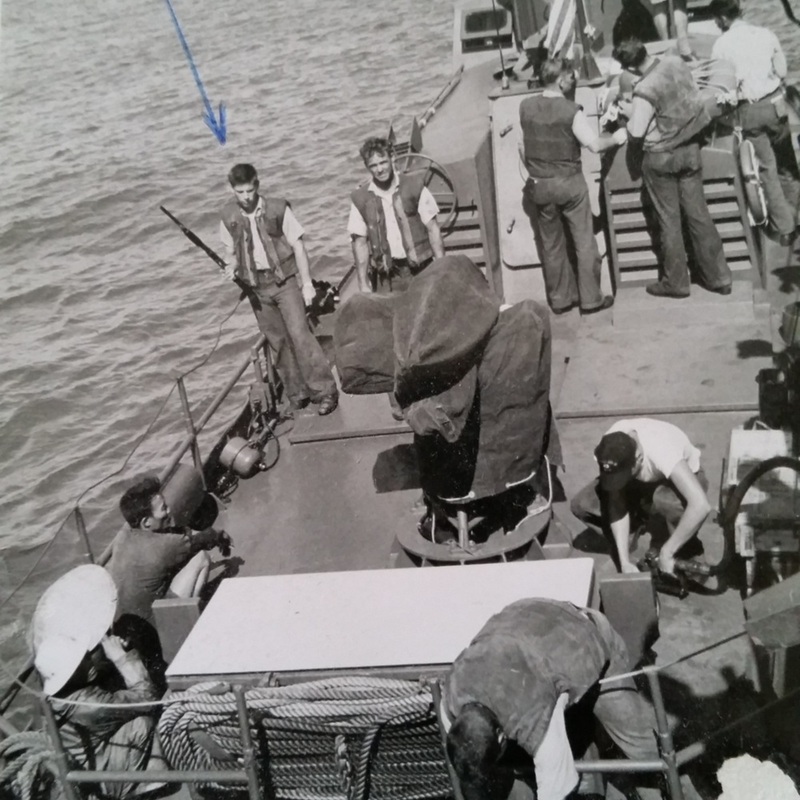 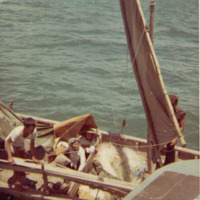 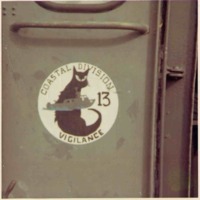 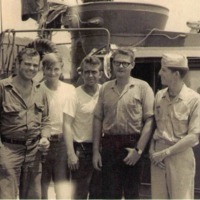 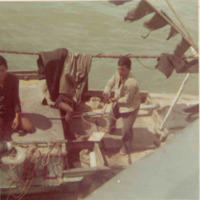 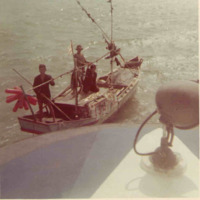 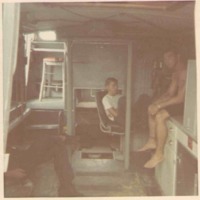 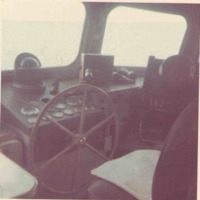 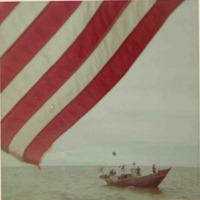 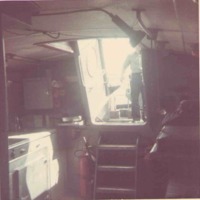 Photograph of Frederick Armbruster, Sr. on board PCF 25, possibly in Cat Lo. 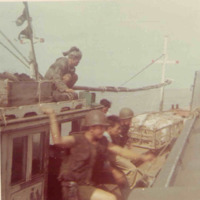 It appears they are transporting prisoners. 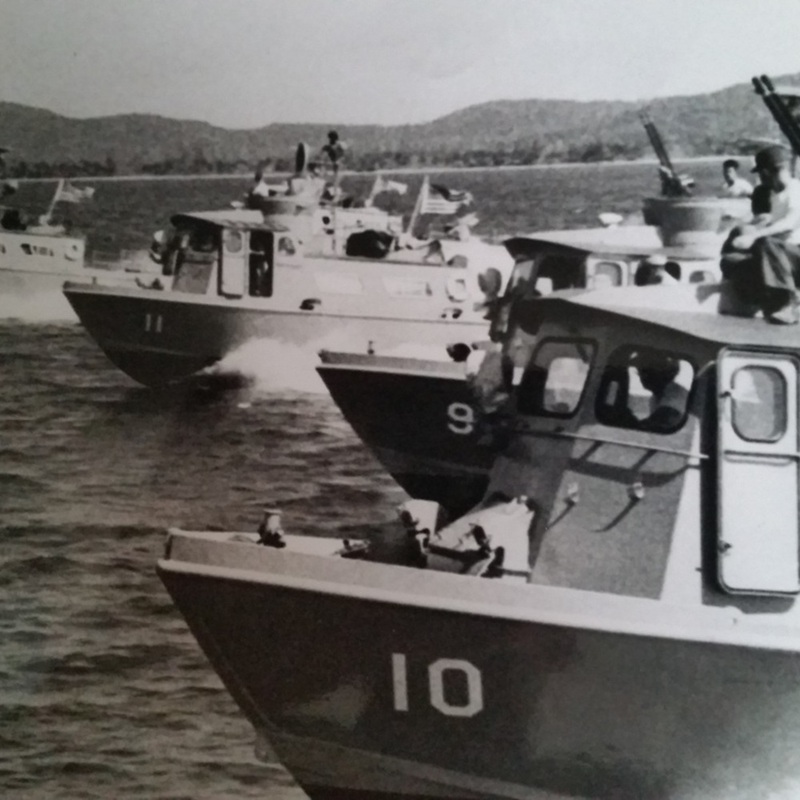 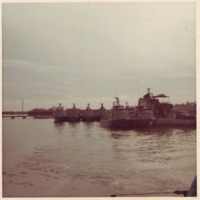 Official Navy photograph showcasing PCFs 9, 10, 11 & 12 as they race across the harbor after being unloaded from the U.S.S. 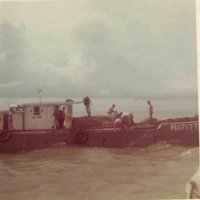 Catamount just offshore of Phu Quoc. 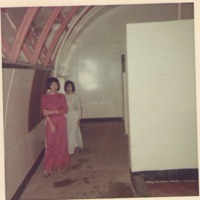 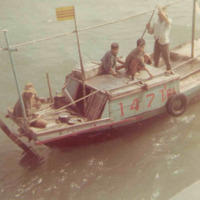 They arrived on Christmas Eve December 24, 1965 at their new home in An Thoi. 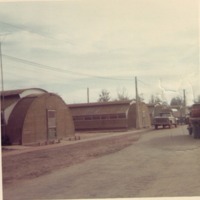 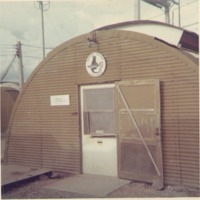 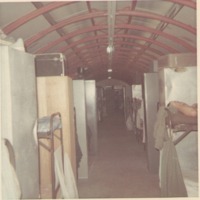 Photograph of Office Quonset taken at Swift Boat Base Cat Lo in the summer of 1968. 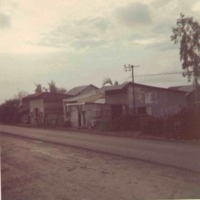 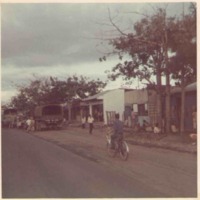 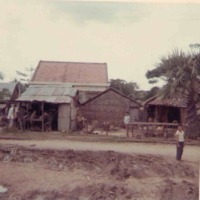 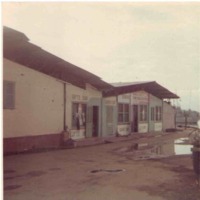 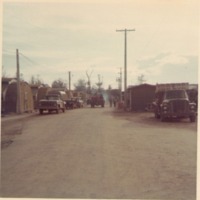 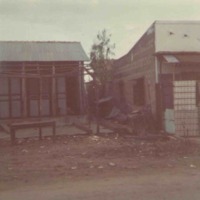 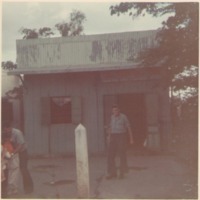 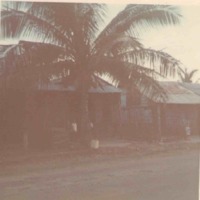 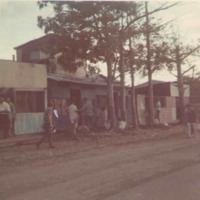 Photograph of the main drag at Swift Boat Base Cat Lo in summer of 1968. 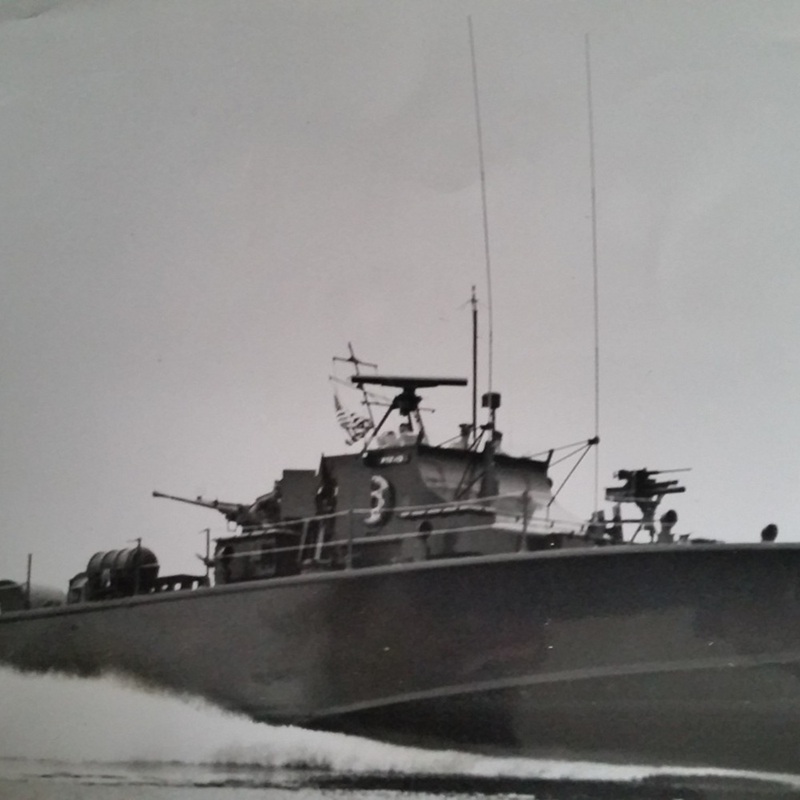 In October and part of November, 1968 while waiting for full time river opps to begin, regular Market Time patrols were conducted. 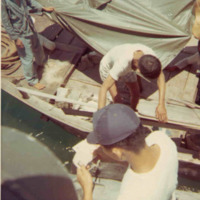 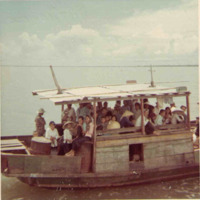 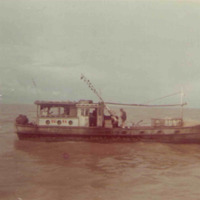 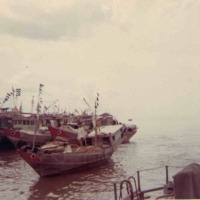 This photo shows the searches and checking of documents of the junk and sanpan traffic plying the off shore waters. 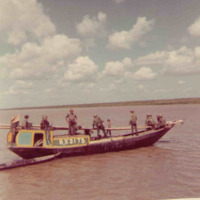 In October and part of November, 1968 while waiting for full time river opps to begin, regular Market Time patrols were conducted. 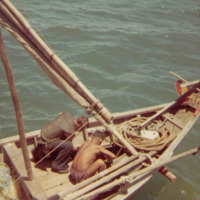 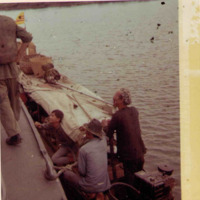 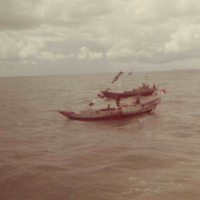 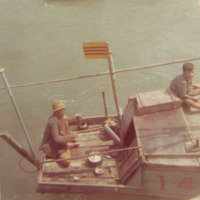 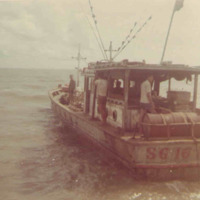 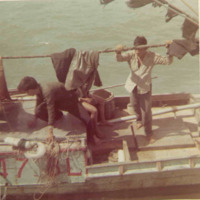 This photo shows the search and checking of documents of the junk and sanpan traffic plying the off shore waters.